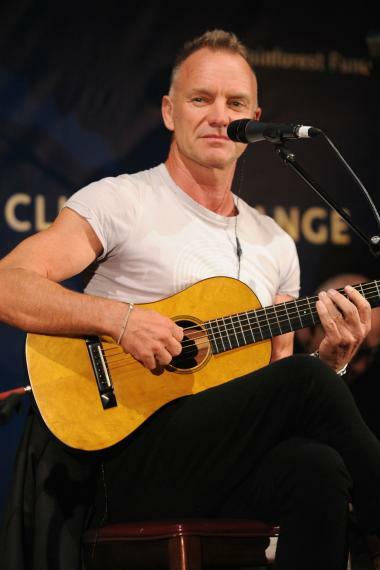 MIDTOWN — Sting sang for his supper Tuesday night. The rock musician, 60, was joined by wife Trudie Styler, opera diva Jessye Norman, Olympic fencer Tim Moorehouse, Broadway star Cheyenne Jackson, models and more at the Cinema for Peace dinner on climate change and development at the tony Harvard Club. The Cinema for Peace organization was created to showcase films on the human condition and values, creating a platform for peace and tolerance. Its main events take place each year at the Berlin International Film Festival.